If you have already started on an intranet project you might have started thinking about how an intranet can help your business. In this blog post, I’m going to highlight the top 5 ways an intranet will positively impact your organisation. To find out more, attend one of our free showcase events or book a demo and one of our intranet experts will show you what an intranet can do for you. The intranet is a tool that has the ability to impact your whole organisation. Unlike a website, it knows who you are, which department you belong to and can understand what action is needed to achieve your objectives. With these insights, it can add value to your business in ways you have not even considered. These days convenience is key and people work at times and locations to fit their lifestyle. The intranet recognises this need and delivers a way for employees to connect with each other, and the business, remotely. Even the remotest of remote workers can access the intranet and see what others are doing, as well as share information and insights with others. A searchable contacts directory: An easy way to identify individuals with specific skills such as trained trained First Aiders and language speakers. It also enables people get to know their colleagues interests and skills. Contact the author: A function enabling people to get in touch with the author of each intranet article and find out more. This is a simple but useful way of helping employees begin a dialog with people in the business whose views they find interesting. Teams collaborate in a number of different ways. The intranet should provide an environment where collaboration is encouraged, nurtured and managed. At a basic level the intranet helps connect individuals together to begin sharing knowledge and working together, it then facilitates collaboration through applications and social tools such as microblogs and commenting. A benefit of intranet collaboration is that it can be captured, stored and revisited later. Document management provides an audit trail of changes that have been made between revisions so that employees can work together to complete any given task. Remote workers ability to contribute: The intranet enables remote workers to, for example, brainstorm problems or challenges with colleagues. This can then inform best practices for situations that may happen again. Team spaces: Providing team spaces where groups can coordinate work and share updates on group projects. Intranets improve efficiency by saving your employees time and reducing wastage. It can give staff access to the information they need quickly and can automate manual processes. There are a number of opportunities for the intranet to improve efficiency. For example, if a spreadsheet is used to keep track of a task this a process that can be optimised. The intranet also limits wastage and can be as simple as centralising processes (such as stationary ordering). It does this by sharing information so that decisions can be made with full knowledge of the facts. This is one of the intranet advantages that can take a little longer to discover but is likely to deliver significant ROI. A useful intranet advantage, that is sometimes overlooked, is that the intranet stores knowledge. Emails and documents that are floating around your originations network have a habit of getting lost, particularly when employees leave or hardware gets updated or replaced. Information that is buried away in inboxes or on shared drives is far from accessible to others that may benefit from this. The intranet provides a central place for you to store this content and does so in a secure and searchable environment. Connecting people to relevant information: As a tool that can be accessible across your organisation the intranet is brilliant for connecting people with information. But, in order to be effective, the intranet needs to go a step further, it needs to connect people with information that is relevant to them. One of the ways our intranet software does this is through content targeting which places relevant content in front of the right people. Securely display information: Connecting with your existing business systems you can also securely display information on your intranet that may be locked away in other tools. KPIs can be shared with management or department heads, metrics shared between teams and individual employee records pulled from your HR systems. Sharing information can happen at a more basic level too. The social functionality of your intranet helps staff share information they consider relevant to others. These intranet advantages are just a few of the benefits your organisation could get from an intranet. An intranet will impact your organisation in ways in which you haven’t event considered and are totally unique to you. Your intranet should be an organic tool that grows to suit your needs and requirements as they materialise. To discover the above benefits and more, book a demo and get in touch. 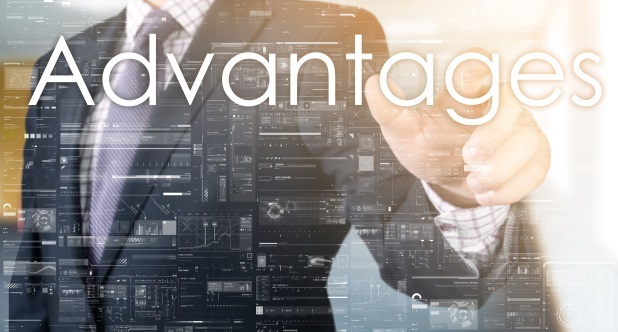 Our intranet experts will show you how our intranet software can achieve these advantages within your organisation.